Hey guys! I’m back today with yet another book review! 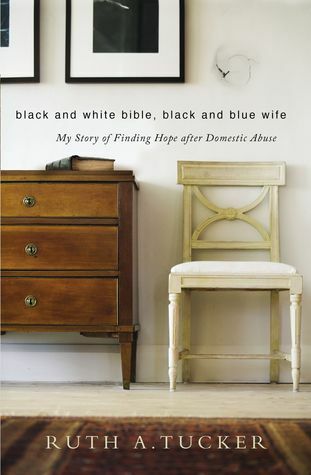 I recently read Black and White Bible, Black and Blue Wife: My Story of Finding Hope after Domestic Abuse by Ruth A. Tucker. Ruth Tucker suffered years of domestic abuse at the hands of her preacher husband, who justified the abuse under the pretense of male headship. The issue of male headship versus equality in marriage is a heavily argued topic among Christians and Biblical scholars. Ruth Tucker uses her own experiences and her own work as a Biblical scholar to prove her point that it is more Godly to have mutuality in marriage. She does this by providing Biblical proof in examination of original texts and translation of those texts. In male headship, where do we draw the line? What about when a woman is abused? This is especially important in the face of the fact that 30% of all women murdered in the United States are killed by their husbands, ex-husbands, or lovers. Tucker also points out that Biblical interpretation is subject to personal and cultural bias, and the vast majority of Biblical scholars and interpreters are male. This isn’t to say that these interpreters are intentionally misinterpreting the Bible to suit their own preferences. It is unavoidable that our cultural and personal biases influence the way we view things. However, the fact that the bias exists is still there. She goes on to say that mutuality in marriage is the best and most secure foundation for a family. Doesn’t it make sense that a husband and wife who both respect the other would have the most solid foundation? Also, only listening to verses that can be interpreted to restrict women and ignoring verses that promotes mutuality is an example of humans choosing which parts of the Bible are important and which aren’t, which is a sinful human endeavor. Finally, masculinity and femininity are cultural constructs, not Biblical issues. There are so many more fantastic points made in this book in support of mutuality! I would recommend this book to everyone, especially anyone who may have dealt with abuse in their lives. This book was incredibly impactful and important for everyone to read. Too many times I have seen Christian women use the concept of male headship as an excuse for men to treat them poorly, which just isn’t right. Everyone needs to read this book! I gave it 4/5 stars. *I received a copy of this book from the publisher through BookLook Bloggers in exchange for an honest review.